Machine consumable laws promise better public services and government transformation, report says. Our method of writing laws and policies needs to change to become truly digital. The Government's Service Innovation Lab has been busy charting a path towards "machine consumable" laws, rules and policies. Laws that can be read and consumed by computers promise both faster and better public service delivery and to assist government transformation. That is the finding of a three-week "sprint" research exercise run by the Government's Service Innovation Lab (LabPlus) exploring the challenges and opportunities of developing human and machine consumable legislation. "Machine consumable" means having particular types of rules "available in a code or code-like form that software can understand and interact with," a report released today states. Examples could be a calculation, the eligibility criteria for a benefit or automated financial reporting obligations for compliance. "The traditional models of creating, managing, using and improving the "rules" of government (policy, legislation, regulation and business rules) were developed for use in a non-digital environment, and can result in a mismatch between policy intent and implementation," the report titled - Better Rules for Government Discovery - states. "New digital technologies and the effective use of government data present opportunities to better deliver to people’s needs." Making government rules machine consumable is fast becoming a key component in the digital transformation of governments, the report says, particularly as they seek to integrate service delivery, automate information exchange and some decision making, while also being more transparent, responsive and accountable. 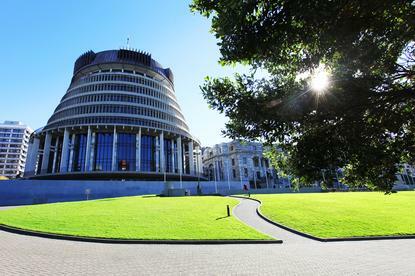 The sprint included a small multidisciplinary group of people from Inland Revenue, the Ministry of Business, Innovation and Employment, the Parliamentary Counsel Office and a private sector software company helping to identify the opportunities and challenges of creating human and machine consumable rules. The report says not all rules are suitable for machine consumption. "Part of this work was understanding what features of legislation are suitable to be made available in machine consumable format," findings state. Specifically, six key findings were made, the first stating that it is difficult to produce machine consumable rules if the policy and legislation has not been developed with this output in mind. Meanwhile, an effective way of developing such policy and legislation is for multidisciplinary teams of policy analysts, legislative drafters, service designers and software developers to co-design the policy and legislation, taking a user-centric approach that focuses on how the service could most effectively be delivered. In this case, ‘user’ can mean people and technology systems as the end users of machine consumable rules. Furthermore, co-designing rules with policy and service design increases the chances of the policy being implemented effectively and as intended, and can reduce the time it takes to deliver on the policy intent. In addition, report findings state that machine consumable legislation that is co-developed enables legislation, business rules, and service delivery software to be developed in parallel, ensuring consistency of application, and significantly speeding up the service delivery to people and increases the opportunities to automate and integrate service delivery (including through the use of artificial intelligence). Delving deeper, common frameworks, reference points and data points (like concept and decision models and ontologies(1)) will assist multi-disciplinary teams to co-design policy and legislation and, once developed, can be used as blueprints for the development of human and machine consumable rules without the need for further translation of the intent and logic (which, in turn, reduces the time and resources required and the chances of errors). Finally, and in summary, the report states that not all legislation is suitable for machine consumption, but a multi-disciplinary approach will assist in making better rules. The group's proposed approach, the report says, could help support faster and better delivery of policy intent; services that are designed to be delivered in the most effective and user-centred manner and modelling and testing of outcomes. Furthermore, benefits could also come in the form of digital transformation of government; legislative reform and accountability of public and private measures and decision-making.